Why do people discriminate against people with vitiligo? I have had several bad relationships with guys who never truly accepted me or my body. It’s something we have all feared at one time or another. Perhaps we stop wearing clothes that show vitiligo, perhaps we wear makeup, men and women, to cover vitiligo and perhaps we don’t go outside as often for fear that we would be judged, be rejected because of a skin disease. This is what we fear, even when we are in a relationships. This is what Rep. Parren Mitchell meant when he wrote in the proposed National Vitiligo Control Act: that vitiligo “cripples the personality of individuals suffering from” vitiligo. My self esteem doesn’t exist anymore and I feel like I will never feel the happiness I did before. She is so cautious and careful what she says, always concerned that I might come to love her less and find someone else. But it is so not true, and it is hard to explain her. She has these “people in her head” I call it that probably constantly tell her to be suspicious. She has become so jealous. It is not just this skin condition which makes it hard, it is the mental effect. In this 11 yrs of journey with this disease, i’ve worst experiences in my schooling, college where i’m harrassed, teased, left alone. No one was there for me then. I’m even in a relationship which ended very badly. There is nothing in my life that i can feel confident & happy about. Neither my family is strong financially nor I’m an unwanted person in the family. I cry alot for their effection,love & care.I want my mom to touch me affectionaly. But she doesnt. This is what we must all help each other and ourselves with. If you are living in the USA, UK, Canada or other first world countries there is a better chance of having an easier time than people in developing countries, in Africa and East Asia. The high contrast of dark skin next to skin with zero pigment coupled with a lack of awareness about diseases, means that men and women with vitiligo are routinely estranged, abandoned, shunned because of vitiligo. How should we live together? What’s the right thing to do about vitiligo? It’s important to note that vitiligo affects each of us differently regardless of skin tone. Light, dark, and everything in between doesn’t matter to vitiligo. I have heard from people all over the world discussing these very issues. Men worry about marrying a women with vitiligo. Parents worry about their children being able to find a spouse. Children go to school and are made fun of. I even hear of teachers judging children in their care because of vitiligo. For children, vitiligo can be particularly troublesome. There are stories of children being mistreated by teachers, ostracized and ignored. If people don’t understand that the disease is contagious this mistreatment, will continue. So, this is not just an issue of depression, or being shy. It’s an issue of ethics. Post by Vitiligo in West Africa. It’s a scary reality the world over. 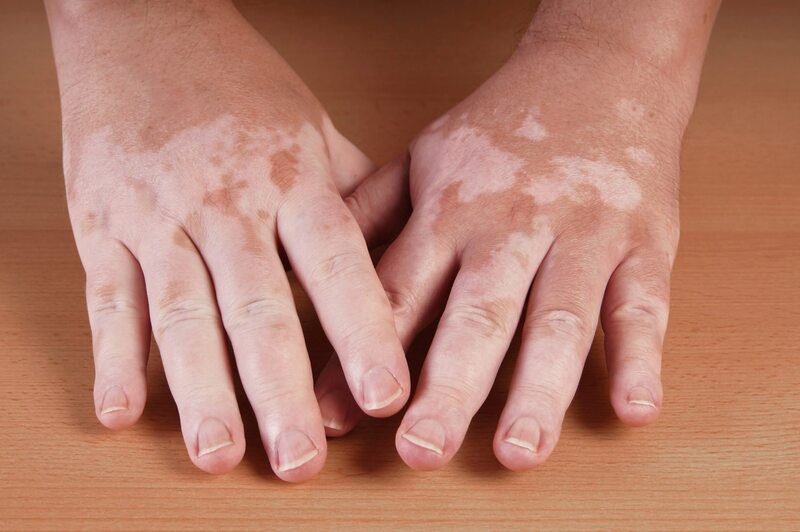 Vitiligo and other skin diseases are not just cosmetic issues. These disorders are the cause of division, rejection and pain. We have one example in Parren Mitchell. You can ask your government to sponsor research into understanding and treating this disease. For those of you that don’t like the idea of using taxpayer dollars on medical research might note that the vast majority of medical research in universities, here in the US and elsewhere is paid for by governments. Cancer research, vaccines, AIDS and HIV and more are supported greatly by government grants. In China, there are entire hospitals and clinic that are dedicated to treating vitiligo. It’s critical that research be done on the disease particularly autoimmune diseases, many of which are far more medically debilitating than vitiligo. But what else can we do, we as individuals with vitiligo? How can we help people where we live and around the world that have vitiligo, struggling with social stigma, depression and fear? What can we do besides fund scientific research? How do we as people with vitiligo help all people with vitiligo on a practical level? We will cover what I think in part 3. For now, when have you experienced fear of rejection or actual rejection because of vitiligo? What did you do? How did you feel? Please let me know in the comments! Look forward to hearing from you! I began showing signs of vitiligo when I was just a baby and the doctors didn’t know what it was for many years after. I remember countless kids asking me why I had spots all over me. Teachers or other adults would ask my parents if I was burned or something. As I grew older there came the teasing, I was called a Dalmatian. When I was 12 years old the pigment in my hair was affected so that I had white streaks on either side of my head like the bride of Frankenstein to which I won the nickname of Rogue from X-Men. By the time I was 14 I had lost all skin pigment & dyed my hair. I thought no one would notice anything different since I no longer had the noticeable splotches of pigment. I was wrong. Now I deal with “Why are you so white?” “You need to get some sun!” “Are you an Albino?” “Are you anemic?” Or “Do you have an iron deficiency or something?” I’ve learned to deal with it through faith, a supportive family, and by teaching my children that we are all created equal but that we all look different but that doesn’t make us any better or worse of a person. Every person deserves to be loved and just because they look different doesn’t mean you should treat them that way. Thanks so much keith for this beautiful piece and for the mention, I really appreciate. I think we need to brace it, do our bit as much as we can, if I can educate everyone around me, you do same and we all do same, it willl go a very long way. How ever I think again that getting comfortable in the skin we are in is another creative way we can all help ourselves. If the society refuses to get informed and refuses to stop staring, then we learn to love ourselves for whom we are. Confidence is the bottom-line. Confidence is beauty. Even whn we are not sure of our relationships, Confidence is our solution. I cannot say that I am a sufferer of vitiligo, even though i have it. I am caucasian, so there is less of a stigma. 1. When children see me, they ask me all sorts of questions. I always am open and honest. once i do that, they are comfortable. I always tell them that they cannot catch it. 2. When adults see it, they always turn away or even worse, stare. Sometimes they will ask me if I am a burn victim. I am lucky and fortunate. I also look at it as a character trait. It is what makes me different. Whenever i see another person with Vitiligo, I always ask questions. I always tell them that they are beautiful. I wish i could install that confidence in every victim. I am a mother of identical indian twins my daughters have this skin condition vitiligo! My youngest twin hasnt got the advance stages she has a slight case where my eldest daughter has the advance case. She has had this condition since 4 years old now they are 9! My heart breaks when i see her getting bullied and mis treated by other children. On the other hand im proud of my little girl she hasnt been fazed or badly hurt by them coz she has great confidence. I live in the uk and i really could have one brown twin and one white twin they joke about it and say they like best of both. I hope u can reply and tell me any suggestions what i can do for treatment or advice with other children or people who have this condition. I am a 70 years old woman. Have had Vitiligo since my early 40’s. Always had very nice “tan” skin before that. Now my hands are completely white. “Clouds” all over the rest of my body. The hardest part for me is the mottled look on my face, as it looks like a really bad case of dark spots. I only wear make-up when I am at a special function, or sometimes at church. Must admit that I still feel a “surge of shame” when I inadvertently glance in the mirror. Aging is a real issue here in America. My Vitiligo makes doing it “gracefully” a real challenge. Patients, who are suffering from Vitiligo, must know about the better treatments for white pitches disease. If you and someone in your family or relation are facing the same problem, here we are not only going to suggest you the better treatment types but also the best institution for vitiligo treatment in ayurveda. First of all let me make it clear for you that Vitiligo (also called as Leucoderma) is a skin disorder problem recognized by growing white patches on the different parts of the body. I have vitiligo. The best thing I ever decided was to think of it as something that made me special/chosen. When I treated myself that way, others refected that back at me. As long as you like who you are and are confident about it, people will pick up on that and react positively. And picking on people isn’t cool anymore, especially when it comes to skin color. So in the rare occasions someone was uncouth enough to pick on me, they basically committed social suicide. My vitiligo makes me physically unique and special, when I network people remember me over the other guy. When I was dating and girls would ask where I had spots, and I would say “everywhere” and that would peek their interest even more. There have been many many other benefits. However I am glad that America does not discriminate based on the color of a persons skin. That ensures if I run into that 1 in 100 people who aren’t on bored with not judging based on skin, that they cannot legally discriminate against me.